Obese teens are more likely to suffer hearing loss than their peers with normal weight, suggests a research. Researchers from United States have also found that obese adolescents suffered hearing loss across all frequencies and they are twice as likely to suffer from one sided (unilateral) low frequency hearing loss than teens of their age. The study suggests that obesity in teens in closely associated with sensorineural hearing loss across all frequencies. Damage to the inner ear hair cells causes sensorineural hearing loss. Stats suggest that 15-16% of obese teens are prone to low frequency hearing loss as compared to just 7.89% of normal weight teens. 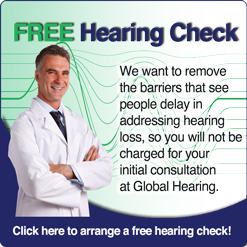 People suffering from low frequency hearing loss are unable to hear sounds in frequencies of 2000 hz or below. Normal hearing ranges from 20 hz to 20,000 hz. About 1500 teens aged 12-19 were screened to conclude that obesity is closely associated with hearing loss. Family history, noise exposure and current medical conditions were some of the factors taken into consideration. Obese teens should go for hearing tests regularly, said US scientists so that they can be treated to help prevent any cognitive or behavioural issues.